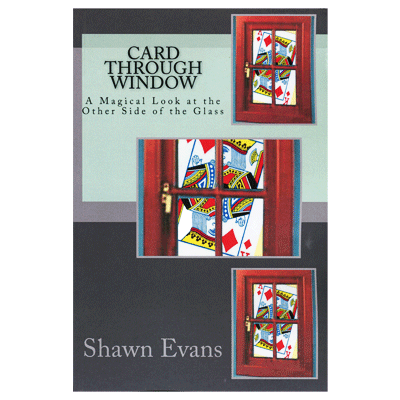 This book takes the student of magic on a magical journey to the other side of the glass, providing for an extensive study in magic theory as well as application --- all from the perspective of the classic Card through Window effect. As a beginner, intermediate or advance student, you'll learn the general framework for implementing your vision and the specific conceptual tools that you need to construct, refine and customize any magic effect (trick or illusion) to fit who you are as a performer. This book explains the overall dynamics of magic: misdirection, audience management, presentation, patter, performance psychology, degrees of deception, group dynamics and the list goes on. But that's all theory. Yet this book also nails down the mechanics, the nuts and bolt of various methods and techniques with details, real-world insights, hard-learned feedback along with illustrations (gaffs, gimmicks and sleights), diagrams, color photos and video links.